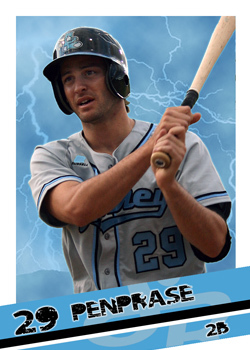 #20 Zach Penprase of the Sydney Blue Sox was 16-for-20 in ABL stolen base attempts. 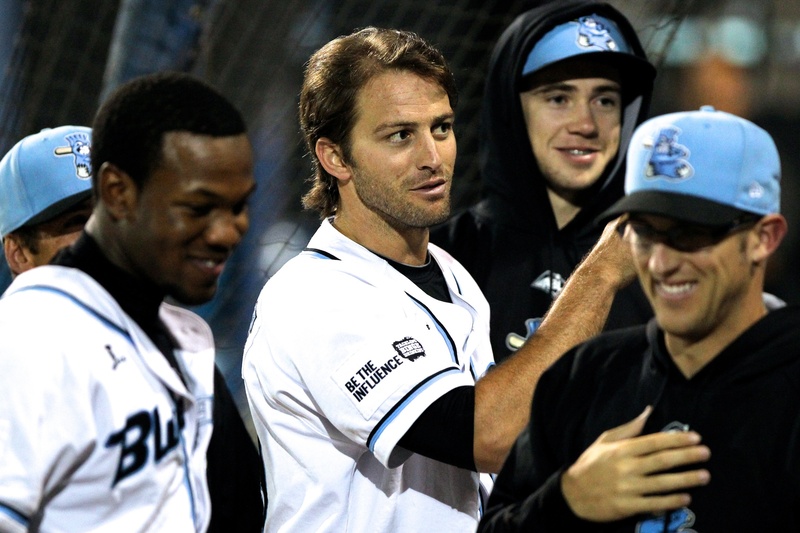 of MLB scouts while experiencing unrivaled Aussie hospitality in the ABL, the 27-year-old Southern California native signed up to play ball in the state capital of New South Wales. One last thank you from all the way across the globe to all Aussies and especially to @sydneybluesox for never saying a bad word about me. 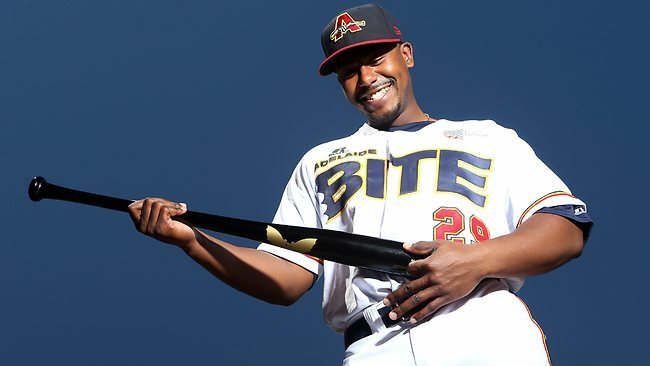 Recently traded from the Pittsburgh Pirates to the Cleveland Indians, prospect Quincy Latimore returned for his second ABL season in 2013. 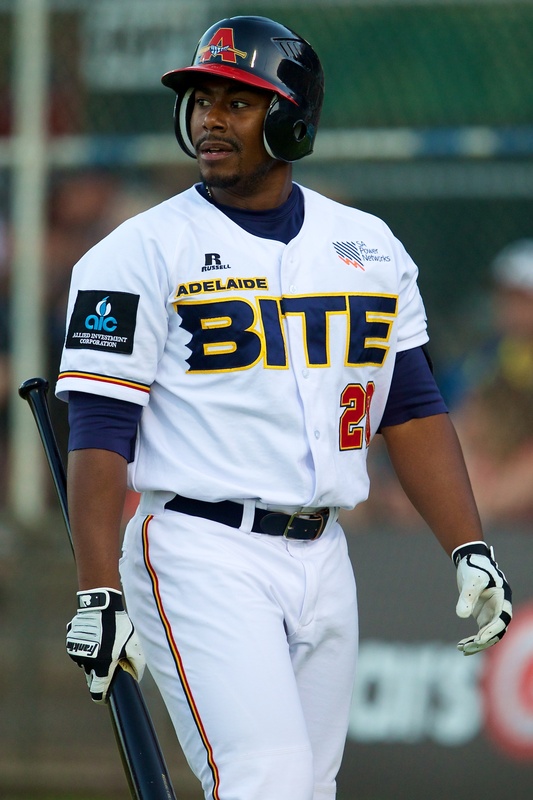 #19 Quincy Latimore replaced injured Pittsburgh Pirates prospect Justin Howard on the Adelaide Bite roster shortly after Christmas. He was a welcome addition to the team’s ailing line-up after an impressive 2010 ABL campaign in which he played in 31 games for Adelaide with a .313 batting average and was sixth in the ABL in both slugging percentage (.548) and on-base plus slugging percentage (.923). Selected in the fourth round of the 2007 draft by the Pittsburgh Pirates out of Middle Creek High School in Apex, North Carolina, Latimore competed in rookie ball until 2010. While at Single-A Advanced Bradenton, the left fielder crushed 19 homes runs with 100 RBI and earned Florida State League post-season All-Star honors. In each of his last two seasons at Double-A Altoona, he has hit 15 homers, while exercising more plate discipline by taking more walks and cutting down on strikeouts. With a minor league career .255 batting average, Quincy Latimore was recently acquired by the Cleveland Indians in exchange for the MLB-experienced right-handed pitcher Jeanmar Gomez. The 24-year-old put together a .286 batting average and a .400 on-base percentage in 16 games for the 2012-13 Bite. #18 Brenden Webb was drafted by the Baltimore Orioles as a 19-year-old in the 30th round of the 2009 amateur draft out of Palomar Community College in San Diego County. 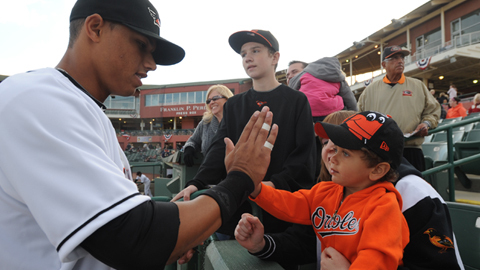 Ranked #31 by Orioles Nation in their 2013 Top 50 Baltimore prospects feature article, lefty outfielder is a five-tool player with potential to make a positive impact on the major league level. His aggressive defensive prowess is demonstrated in this youtube video of him throwing out Canberra’s Kody Hightower at the plate. Featured in last season’s Top 20 Americans in the ABL article after hitting .270 and ranking fourth-best in walks (25) with only 100 at-bats, Brenden Webb returns again in this season’s Top 20 despite having only joined Perth in early January. In 2012 between his stints at Single-A Delmarva and Single-A Advanced Frederick, the 23-year-old power-hitter had career-highs in both walks (98) and home runs (14) while greatly increasing his on-base percentage. Baltimore Orioles prospect Brandon Webb displayed raw power in his limited at-bats in the ABL in 2013. Of his 11 regular season hits for the Heat, five were home runs. Heading back to the states. Thanks @perthheat for the amazing time. The great fans and people is what makes Perth so special to me. Named ABL Player of the Week for Round One of 2012-13 action, #17 K.C. 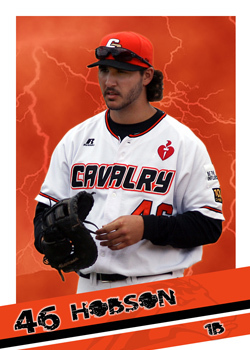 Hobson of the Canberra Cavalry absolutely raked at the plate by going 6-for-10 and hitting two home runs in three games. Named to the ABL World All-Stars roster after being Canberra’s most consistent bat as well as their clean-up hitter from the moment he set foot in Australia’s capital city at the start of the season, the aspiring 22-year-old Toronto Blue Jays prospect’s time in the ABL was cut short by a calf injury which prevented him from playing against Team Australia in the 2012 ABL All-Star game and sent him home early before Christmas. Picked up by the Jays in the sixth round of the 2009 draft out of Stockdale High School in Bakersfield, California, Hobson had a breakout year in 2012 for Single-A Lansing–where he hit .276 and set a single-season franchise record 43 doubles. The Cavalry first baseman’s injury cost him a possible ABL batting title as his average plummeted from a league-leading .600 to a season-ending .271. Toronto Blue Jays prospect K.C. Hobson is hoping to help the franchise. 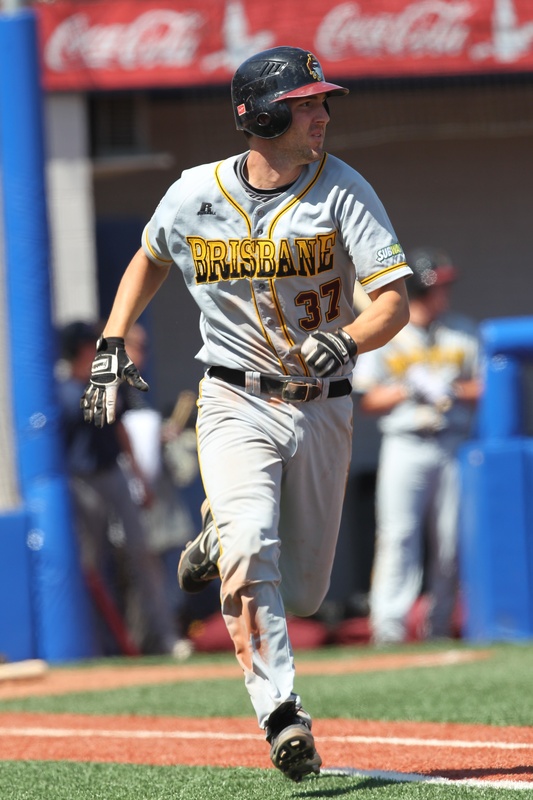 #16 Jim Schult of the Brisbane Bandits was named the 2011 Division III National Player of the Year while playing at Eastern Connecticut State University. 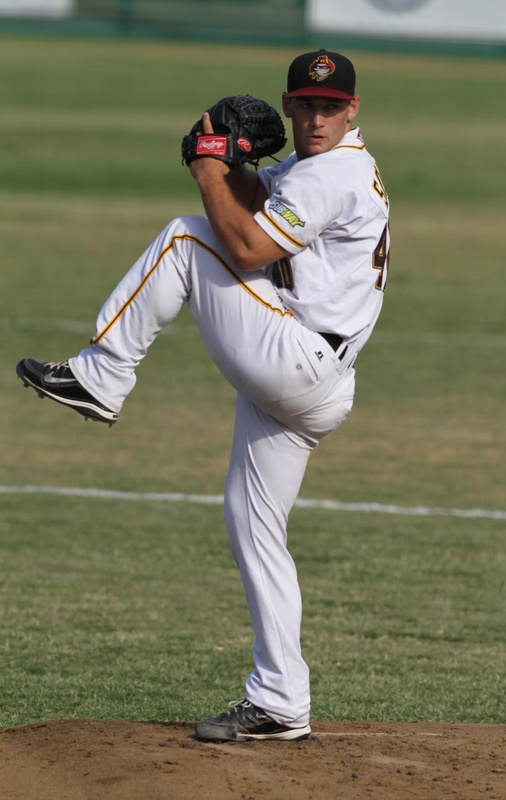 A First Team All-American Collegiate Pitcher, Schult joined the Can-Am NYSL Federals in 2011 and the Frontier League’s Joliet Slammers in 2012. With unlimited potential and a bright baseball future ahead, the 23-year-old New Yorker made a great debut pitching in the ABL with a superb 4-2 record and will be welcome back. 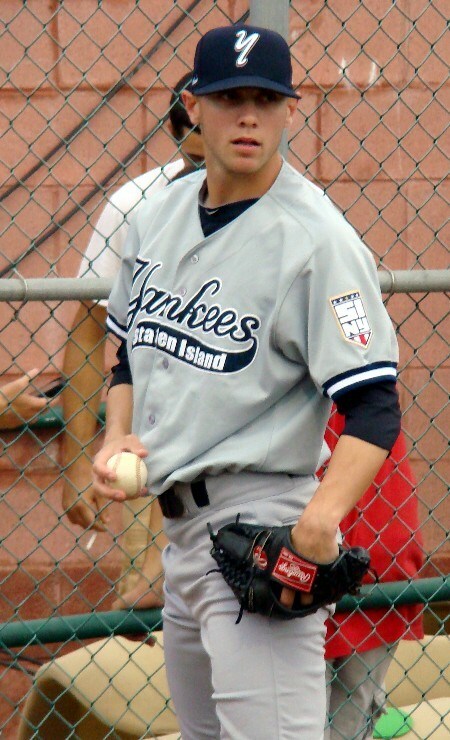 Marred by nagging injuries throughout his brief minor league career, Arneson was used primarily in a setup role out of the bullpen during 2012 and pitched two scoreless innings in his last outing for the Single-A Charleston RiverDogs to earn his only victory (1-0) before heading to Australia. The day news got out that the Melbourne Aces had scored the first American import affiliated with one of the most prestigious MLB franchises to play in the ABL, the entire Australian state of Victoria buzzed with anticipation. Melbourne Aces general manager Windsor Knox said, “It’s a fantastic day for the Aces and our fans to be associated with the New York Yankees. We look forward to seeing Zachary’s contribution to the team’s success this season.” Aces manager Phil Dale commented that it was great for the ABL to have the biggest team in the world willing to send out players. 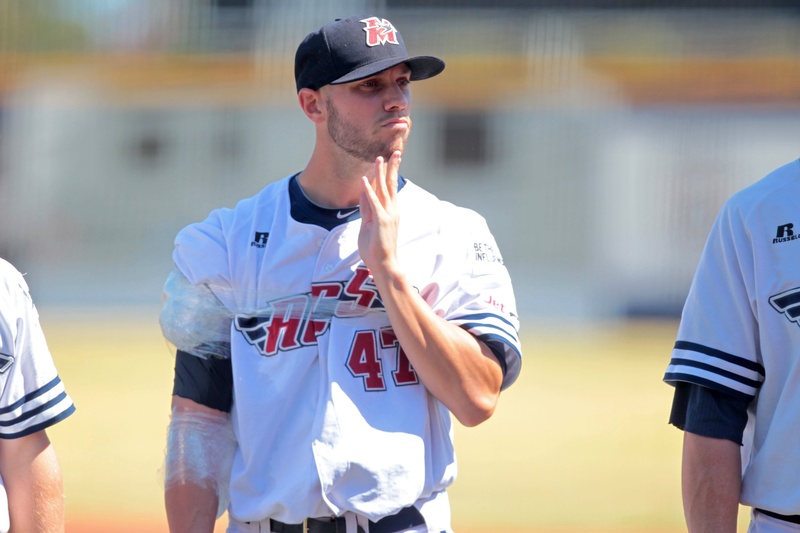 With opponents failing to connect with the 24-year-old flamethrower’s fastball early on, Arneson rightfully earned a spot on the ABL World All-Star team roster and continued to dominate with a 1.77 ERA and 24 strikeouts in 20.1 innings. @zacharneson In Melbourne 3 months and already know who runs this City. You just claimed your Victorian citizenship mate! the New York Yankees and also played that same season for the Pittsburgh Pirates. 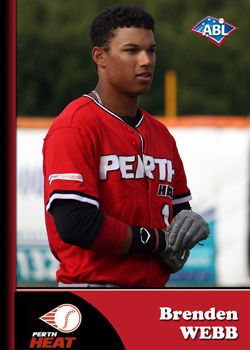 Originally selected by the Detroit Tigers in the 11th round of the 2005 draft out of the University of Califoria, Riverside, #14 Anthony Claggett of the Perth Heat was acquired by the New York Yankees in the 2006 Gary Sheffield trade. 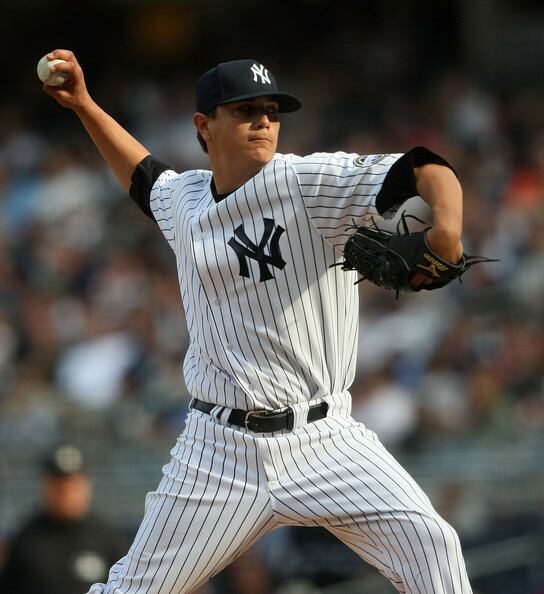 Equipped with a sinking 92 mph fastball and a 85 mph slider, the Southern California hurler came into 2009 Yankees Spring Training as the 26th-ranked prospect in the franchise and the third-ranked right-handed relief pitching prospect. 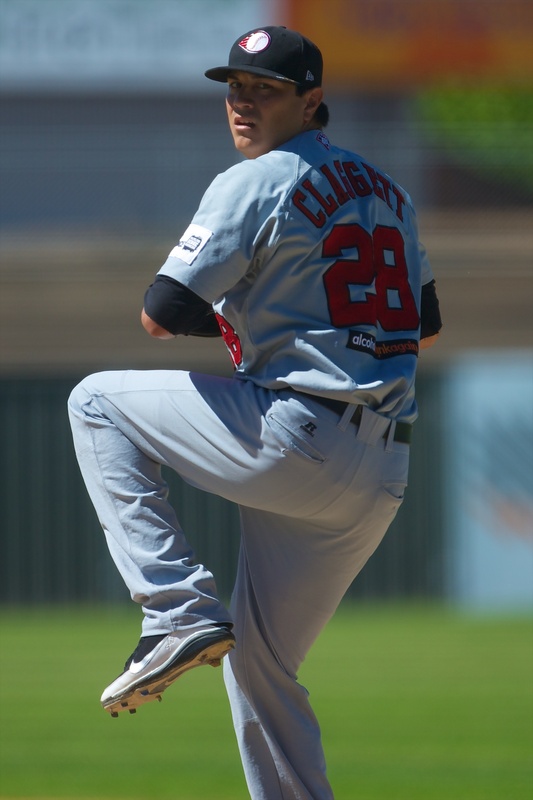 Five months after making his MLB pitching debut on April 18, 2009 against the Cleveland Indians, Claggett was claimed off waivers by the Pittsburgh Pirates. He was designated for assignment by the Pirates when Octavio Dotel was acquired in 2010 and was granted free agency at the conclusion of the 2011 season. 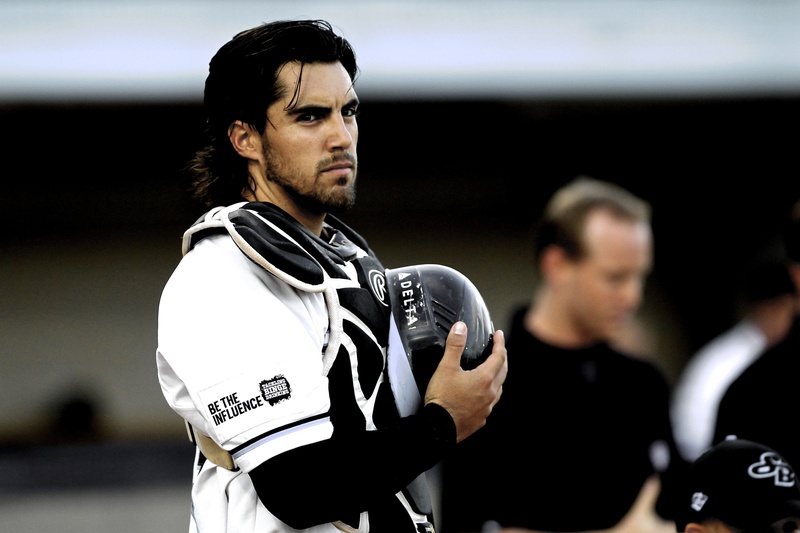 Prior to signing on with the Perth Heat in the ABL, he pitched for the Somerset Patriots and the St. Paul Saints. The 2012 ABL Team World All-Star (4-5, 3.31 ERA) was second-best in strikeouts (77) and was also named ABL Pitcher of the Week for Round Five after throwing 6.2 innings of shutout ball against the Aces with seven strikeouts and no walks allowed. Officially back in California. Thank you Australia for all the good times #perthheat. 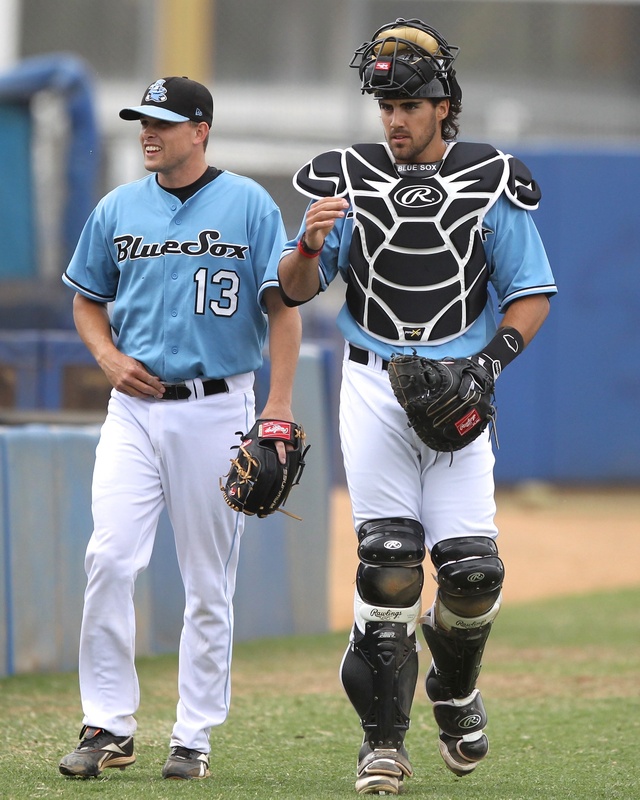 the Blue Sox pitching staff was the ABL’s best with the league’s lowest ERA (2.91) and WHIP (1.20). He also produced offensively for the squad–ranking third in doubles (10) and walks (20) and fourth in hits/runs (43) and RBI (21). 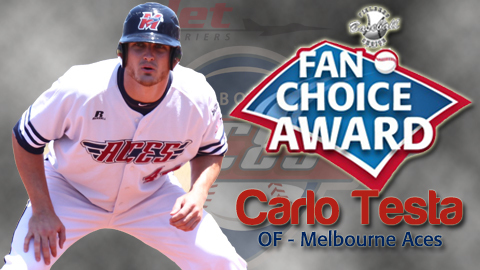 of the second annual ABL Fan Choice Award. 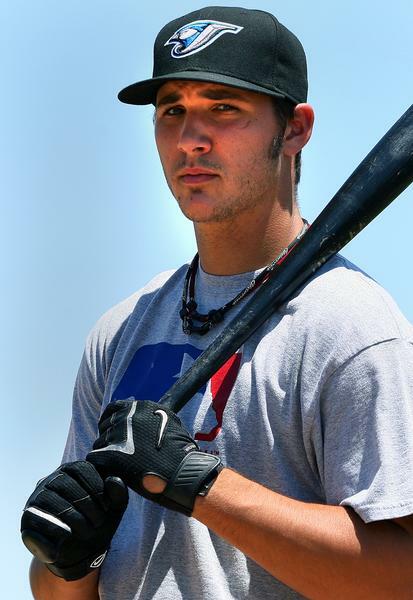 Italy’s Alex Maestri won in 2012.
the 26-year-old Midwestener was the driving force behind the ABL’s last place offense by leading the Ace’s regulars in nearly every category including: doubles (11), home runs (6), stolen bases (10), batting average (.294), on-base percentage (.394), and on-base plus slugging percentage (.835). Big homer by Cody Clark to send the storm chasers to another win!! #11 Cody Clark of the Brisbane Bandits spent six seasons in the Kansas City Royals minor leagues before embarking to play for the Brisbane Bandits in the Australian Baseball League. 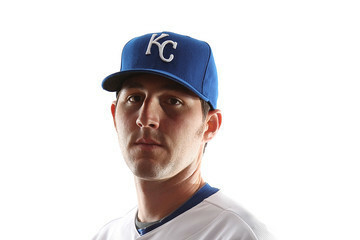 #11 Cody Clark came to Brisbane, Australia after spending the 2012 season with the Triple-A Omaha Storm Chasers. Bouncing between the Texas, Atlanta and Kansas City franchises, the 31-year-old journeyman has played 10 years in the minor leagues. The veteran catcher needed an outlet such like the Australian Baseball League to show-case for international MLB scouts as he entered free agency. 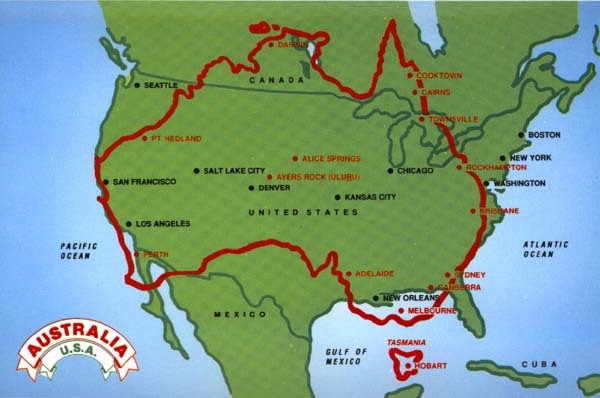 The Arkansas native ventured over 8,600 miles to get Aussie baseball love. a long time ago. In addition to being an ABL Team World All-Star, the Brisbane backstop was named ABL Player of the Week for Round Four. During the four-game series against the Adelaide Bite at the Norwood Oval, Clark went 8-for-15 with two home runs, two doubles, two walks, two runs scored and nine RBI. There was nothing bush league about the Bandits’ leader in hits (50), runs (25), doubles (13), and RBI (28) or nothing minor about his .299 batting average. Thanks for creating a truly stellar series… Love the players’ tweets too! Looking forward to the final installment.